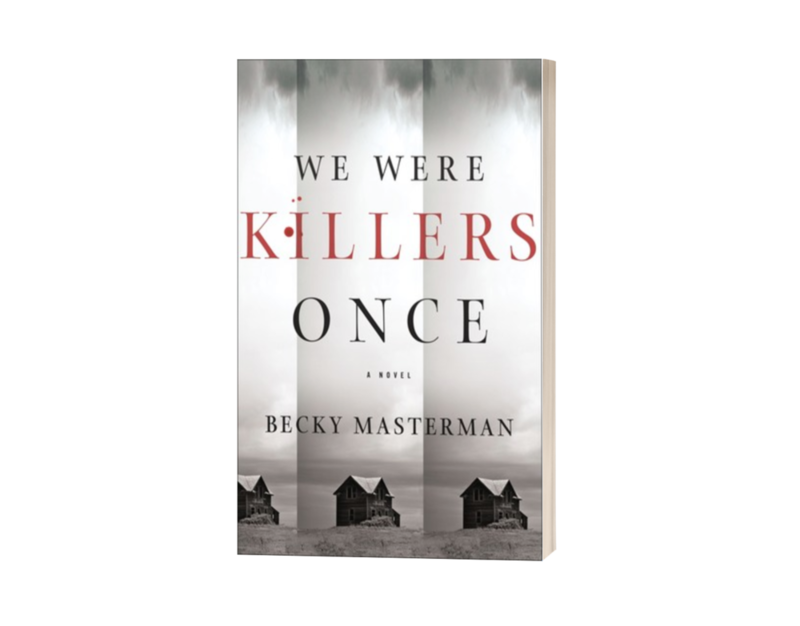 WE WERE KILLERS ONCE is a what-if crime novel about the Walker family murder outside of Sarasota, Florida in 1959. Richard Hickock and Perry Smith – the two men who were immortalized by Truman Capote in his novel IN COLD BLOOD – were in that area of Florida at the time of the Walker family murder, and they were suspected of committing the crime since it was similar to the murders of the four Clutter family members in western Kansas not long before. Masterman introduces a third killer into the mix – putting him with Hickock and Smith at the Clutter murders and then having him commit the Walker murders by himself in Florida. Ex-FBI agent Brigid Quinn is drawn into the Walker’s cold case when she finds a note from Richard Hickock in her husband’s possession. Back when Brigid’s husband was a priest, he worked with the priest who Richard Hickock spoke with not long before he was executed. Believing that the other priest may have Hickock’s written confession, Brigid goes in search of the truth. What she doesn’t realize is that a recently released criminal is on her trail. This criminal is determined to get his hands on Hickock’s confession, and he will get rid of anyone who gets in his way. I was intrigued by the concept of WE WERE KILLERS ONCE because of its connection to IN COLD BLOOD by Truman Capote. I thought it was an interesting concept for Masterman to add a third killer into the mix. I wanted to be into the story, but it just did not grab me. Despite not really being captured by the story, I still wanted to know how it ended. But then I got to the ending, and I was highly disappointed. I found the confrontation between Brigid and the killer ridiculous, and the aftermath between Brigid and Carlo was bizarre. The only way I can really sum it up is to say that the more I read of the novel, the less I liked it. I did enjoy the back-and-forth between Brigid’s first-person perspective and Jerry Beaufort’s third-person perspective. That being said, I did not like any of the characters. Brigid comes off as a childish sociopath who is out for revenge. Her husband, Carlo, is annoying and dumb. I mean, who opens the front door and lets someone in the house despite being told by your wife – who is an ex-FBI agent – that this person is a killer and a criminal??? And the killer, Jerry, is an idiot. How the man has gotten away with multiple homicides for over fifty years is beyond me.